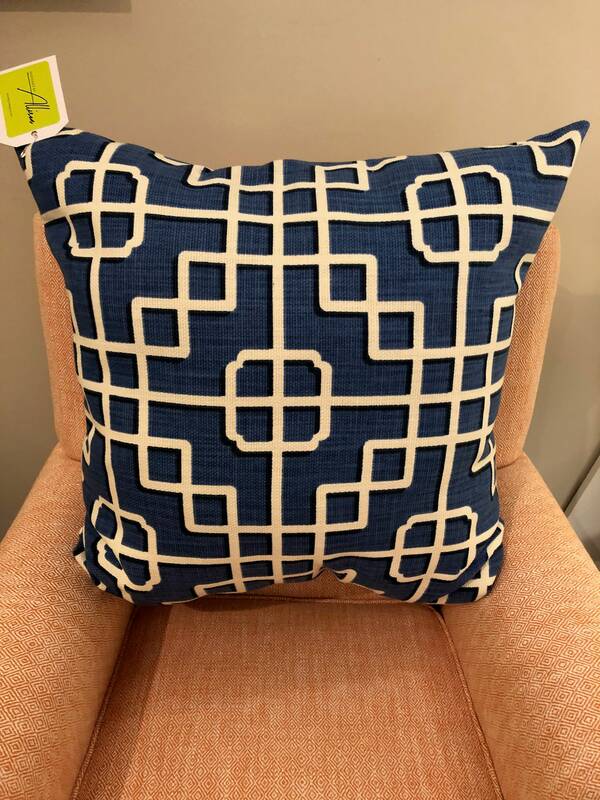 Royal blue geometric pattern pillow. This pillow is filled with poly-fill, so it cuts down on allergies. 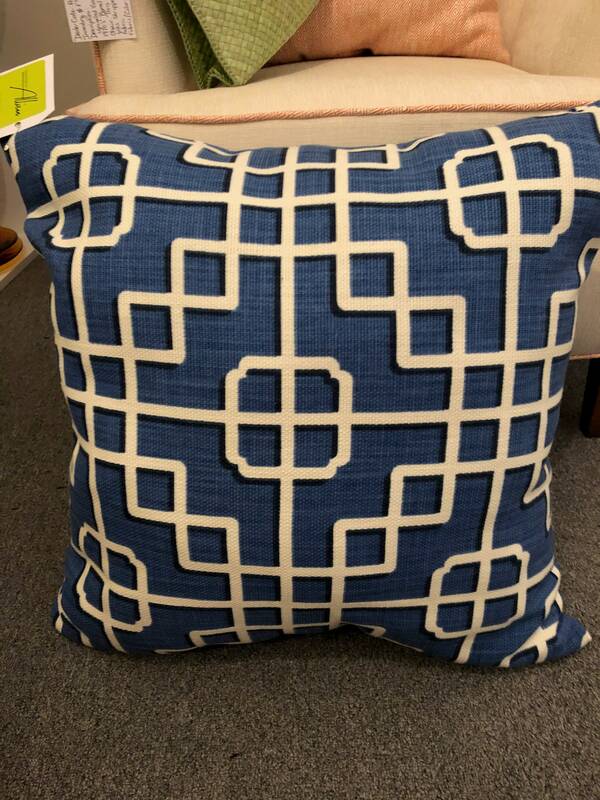 It is 24" square and extremely comfortable. I only have 2, so purchase quickly!!!!! Gift wrap is available upon request.